​In this page, I have listed websites that we can earn money from. Check them out, register and start collecting some cash on the Internet. Baymack is a daily lucky draw. You get entries by watching videos. But there are also challenge where you will get a certain amount if you completed it. Snuckls is a 2 days lucky draw. Same with Baymack, you get entries by watching videos. Outbuck is a Twice-daily lucky draw.. Same with Baymack, you get entries by watching videos. This site is one of the most trusted and popular PTC sites today. It started on 2013. Earn money by viewing advertisements. Earning here is a little bit better than other PTC sites. 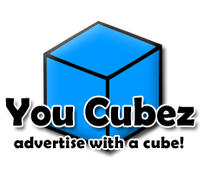 Neobux is a Paid to Click advertising service that connects advertisers and potential customers from around the world. It is one of the leading and trusted PTC sites, started on April of 2008. Neobux is considered by many as the King of PTC. 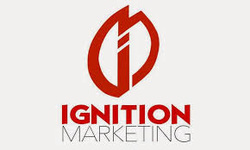 Make money online with paid surveys, free offers and paid per click advertising. Taking surveys online is a fast, fun and easy way to make extra money. This website was started and paying its members since February of 2007. Clixsense is currently the most trusted PTC site. W3Adz is a new PayPerClick website. The first 10,000 members will instantly get a free pioneer membership with 1 year expiry upon joining. Get paid for something you already are doing! Not extra knowledge is required, we'll pay you per website you browse through our network, it's that simple. Innocurrent is similar to Ayuwage. Paidverts is an industry proven method that allows advertisers to reach thousands of valuable users by displaying their advertisement (s) to individuals capable of affording what they have to offer. Users click on the advertisement and view it for a specific amount of time (5 to 30 seconds). After viewing it, the user gets a reward for their time and attention. Donkeymails is a website that pays you to view ads, promote, surf, read emails, play games, complete offers and other tasks. It started on February of 2005. Heedyou is both a PTC(Paid-to-Click) site and a traffic-exchange site. What good about this site is the minimum cash out, only $1. It is a new website wherein you will get paid for writing articles which should be composed of at least 280 words. You will also earn from every comments and views that you receive on them. Also, commenting on other members posted articles will make you earn as well. LiteracyBase is not just a blogging website but it is an organization that provides a platform for all those who can Write, Comment, Share, Discuss and socialize. Whether you are a freelance writer, housewife, student, jobless or working anywhere but can contribute some of your precious time to us and get rewarded for your effort.. It is an online video game site using a unique capture-based playing system where in-game victories turn into real life profits. Every game piece you capture is worth credits in your CapturePlay account. Reuse captured game pieces in future matches, cash in your credits for real money, use credits to buy new game pieces, or trade pieces with other gamers in the CapturePlay Virtual Marketplace. Play Super Frag Arena, a first-person shooter, CaptureChess, or Mancala, a 21st Century update one of the world's oldest casual games. More exciting new games are coming soon. VelocityChess combines the thrill of speed chess with the richness of a state-of-the-art online platform. Offering cutting edge features like the vChips virtual currency system and the ability to play games with time and betting handicaps, VelocityChess redefines chess for everyone, regardless of ability. Chess for the Modern World. I consider NLOP as the best poker site. MotiHub is an entertainment retail store with a wide variety of products. You can win all sorts of popular products at incredibly low prices. Check our homepage to see what products are up for bidding right now, and if one catches your eye, buy our digital currency called MotiCoins to bid and win an item for a very low price! When you place a bid, we add a maximum of 10-20 seconds to the timer - to give someone else the chance to bid if they're interested. If no one else bids and the timer reaches zero, you’ve won a sweet deal on MotiHub! It is founded by the famous Filipino preacher, author of more than 50 books, Bro. Bo Sanshez. Joining the club will guide you on your investing especially in stock market. You will know what stocks to buy, and the timing on when to buy and sell those stocks. Added to that, there will be inspirational talks, ebooks and newsletters that will improve your personal and financial mindset. Truly Rich Club has already helped thousands of people in improving financial and personal situations. Joining this club is really worth it. It is an affiliate training program founded by three Filipino professional Internet marketers namely Eduard Reformina, Mau Magallanes and Binsoy Basilio. They aim to teach Filipinos the methods and trainings on how to earn money online. If you are serious in online business and wanted to learn the different techniques and tools that you should have as an Internet marketer, then you should join here. The trainings are taglish so it will be easier to understand and for being a member, you will have the access to get along with other Filipino entrepreneurs and be guided by them. This is really a great opportunity for people who are serious in learning the methods on how to earn money in the Internet. Start your online business for only Php100 or $1. Minimum to cashout: Php300 or $6. 2Capthca is a human-powered image recognition and CAPTCHA solving service. This is the hub for both those who need the images recognized in real time and those who are ready to take this job. The rate is around $1 per 1000 captchas solved. Minimum payout is $1. 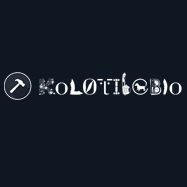 Kolotibablo is another legit captcha entra job site that I work on. The rate is $.04 to $1 per 1000 captchas solved, depending on your level. Download and use their software for faster loading of captchas. Protypers is another website where you can earn money from captcha encoding. Payment rate is $.045 to $1.5 per 1000 solved captchas. Freelancer is a marketplace where employers and employees are able to find each other. The site allows employers to post work to get done. Anybody is then able to offer quotes to complete the project, upon which point the original employer is able to award the work. This is a website for Filipino applicants who wanted to have a job online. Microworkers is an innovative, International online platform that connects Employers and Workers from around the world. you keep the profit!​ The tasks assigned to Workers and paid for by Employers are simple and quick, mostly completed in a few minutes, thus they are called "microjobs”. Snapcart is an android based mobile app that enables everyone to use their shopping receipts to get cashback, as easy as taking a snap of the receipts. You can also collect coins by taking surveys, watching videos and taking selfies. The coins you have collected can be used to play games to get a chance of winning real money. Finally a cash app that PAY REAL MONEY to all of its users! Make money, earn free gift cards, recharge and top up your mobile number with the best money making app - gCa$h ! Get free Internet on mCent to use however you want. You can use apps, chat with friends, and browse the web - all for free!, Get paid for every app that you will install and use. Earn points by downloading free apps on your iPhone or Android device, and trying them for a minute. Earn money by reading news. If you like getting free stuff, extra cash every month and being the first to introduce something new to your friends on social networks, this is the place for you. PanelPlace is a paid surveys platform that links you up with reliable survey companies you can trust. Join these trusted panels to do surveys and get rewards! At SearchTrade users earn bitcoins for every single search they make through the website, once they have log into their accounts. User can earn bitcoins by choosing a variety of search applications listed on SearchTrade App Market. Are you a photographer? Or maybe it's just your hobby to take photos. If you're good in it, then you can sell your stock photos here. If they get approved then you can start earning money. Teechip is similar to Teespring. It is a website service that let's you sell custom merchandise with no upfront costs. They handle the printing and shipping, while their campaign creators handle the design and marketing. Jumpstart your freelance career today by joining the 99designs community of amazingly talented designers. Clients will choose the design they wish to use and then the winning designer will get paid. ADS150 is an advertisement and Revenue Sharing platform. You can advertise your business on ADS150 website, and earn cash back plus revenue on each Ad Share Package you purchase. Convert your Philippine Peso to Bitcoin and vice versa. A good place to invest on bitcoins. Invest or trade in different cryptocurrencies. Lend money and get interest daily. Similar to Bitconnect. Invest or trade in different cryptocurrencies. Lend money and get interest daily. This is another popular site to earn bitcoin. The way to earn bitcoin here is autopilot. You just need to login and leave it for at least 5 minutes. It will gradually fill up. You can claim it as often as you like. This is a high paying bitcoin ptc website. Earn bitcoin online by viewing websites. Cheap website promotion with bitcoin payments.